It's Black Friday! Here's a list of deals that I compiled and shared with listeners of the Aviation News Talk podcast earlier today. Normally the weekly podcast consists of general aviation news and pilot safety tips and an occasional interview. But this week, I decided to share some of the deals that I've run across. If you're thinking, hey, what's a podcast, you can think of it as a radio show, but one that you can listen to on your iPhone or Android whenever it's convenient to listen, such as when you're commuting, exercising, etc. Plus you get to listen to the topics of your choice! If you're not already listening to the Aviation News Talk podcast, open this email or web page on your phone, and then click on one of these links to download the Aviation News Talk dedicated app for iOS or the dedicated app for Android. That way you'll hear about these deals even earlier next year! Enjoy your shopping, and keep the blue side up! This promo is for people who don’t have a ForeFlight subscription and want to buy a new one, or for people who have a subscription AND they want to upgrade to a higher level plan. You can get 13 months for the price of 12 on a new ForeFlight subscriptions, or on a upgrade of your subscription now through Monday. To get this promo, you have to go to www.foreflight.com/buy and use the promo code FLYDAY18. Note that you can only use this promo by going on the web site; you can’t get access to it through the app. The best discount I know of for ForeFlight is a 33% discount if you are a member of SAFE, the Society of Aviation and Flight Aviators, which is a Professional society for flight instructors. It costs $45/year to join SAFE, and I always encourage all flight instructors to join SAFE. By the way, membership in SAFE also gives you a free subscription to Flying magazine, which saves you about $14/year right there. And you get discounts for many other apps and products of interest to pilots. The offer is for the Bose A20 Aviation Headset, which sells for between $995 and $1095, depending upon whether it includes Bluetooth. The Black Friday Special offer is that when you purchase one of the A20 headsets at the normal price, you’ll get a free SoundLink Revolve speaker (a $199.95 value). And Additional A20 headsets purchased in the same cart transaction will receive a discount of 10%. The Bose QuietComfort 35 (Series II) Wireless Headphones, Noise Cancelling Headset. Normally $349, is $50 off or $299. Note this is not an aviation headset; it's the type passengers wear on airliners. 20% off any online order at Ray-Ban.com. The promotion is valid through Monday, 11/26/2018. 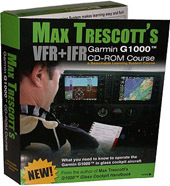 IFR Mastery DVD course, $149, but you can get $50 off if you use the Promo code “turkey”. 3-day clinics in Texas, combo of ground and flight instruction in a Cessna 206. Normally cost $2900, but you can get $500 with Promo code “turkey”. 20% off on all King School courses now through 8 PM PST on Wednesday, November 28, 2018. Please use the code PUMPKINPIE at checkout online. 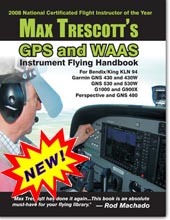 Sporty's Deluxe Learn To Fly Course Kit (Online and App) - 2019 Edition or DVD version is normally $430.02 is 25% off or $322.51. Sporty's Deluxe Instrument Rating Kit (Online and App version) or DVD version is normally $479.52 is 25% off or $359.64. 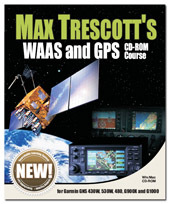 Seattle Avionics is offering lifetime subscriptions on some of their apps. For example FlyQ EFB, is available for a one time price of $299 for VFR data, and $449 for VFR and IFR data. However the deal is limited to the first 300 buyers. Phone 425.806.0249. 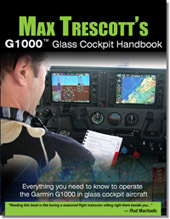 Garmin G500 or G600 display owners. Trade-in your original system and receive a $2,000 credit toward the purchase of a new 10.6-inch G500 TXi, or $3,000 credit toward the purchase of a new 10.6-inch G600 TXi. Or $500 or $750 rebate with the purchase of a new G500 TXi or G600 TXi. If you currently own a Garmin GNS430 or 530 with with or without WAAS, you can get big credits toward the purchase of a new GTN 650 or GTN 750 touchscreen navigator. Trade-in credits range between $2000 and $5000, depending upon which unit you’re trading in, and whether you’re purchasing the GTN 650 or GTN 750 touchscreen navigator. If you’d like to put a new autopilot in your plane, Through December 28, 2018, customers can receive $500 via a mail-in rebate with the purchase of a GFC 500, or $1000 with the purchase of a GFC 600 advance autopilots. The GTX 335 ADS-B Out transponder meets and is available at a special promotional price of $2,995 through the end of 2018. Most Black Friday deals you’ll find are for WiFi only iPads, which don’t have a built-in GPS, so you don’t want one of those if you want to see your current plane position when you’re flying. Instead you’ll need a version labeled +Cellular or +LTE. MacMall.com which is offering $30 off all of their iPads with Cellular. B&H Photo has discounts that range from $30 off up to $130 off on iPads with Cellular. At Verizon, if you buy a new iPhone, they’ll offer you a 9.7-inch iPad with LTE for $99 at checkout when you sign up for a two year contract. Sprint is offering a iPad 6th Generation 32GB for $4.17 per month for 24 months. And if you buy a new iPhone at the same time as the iPad. Apple is offering a Apple Store Gift Card of up to $100 when you buy select iPad Models. The fine print says customers can receive an Apple Store Gift Card with the purchase of select Apple products. Offer is valid at Apple Store locations, on apple.com, and by calling 1 800 MY APPLE for purchases on November 23-26, 2018.